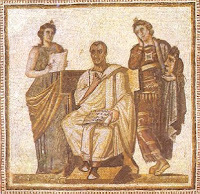 There will be 4 Caesar and/or Vergil AP workshops offered this summer at various locations: July 8-13; July 15-20; July 22-27; July 29-August 2. In addition, one fall workshop on Caesar is also available (weekends, September-November). Peruse the list below, and contact Jill Crooker for more information. This week-long workshop is designed to lead teachers through most or all of Caesar’s Gallic War text for the 2012-2013 school year. It will be an experience translating and discussing the text, the political ramifications and the leadership role of Julius Caesar. We will work with Book 1: chapters 1-7; Book 4: chapters 24-35 and the first sentence of chapter 36; Book 5: chapters 24-48 Book 6: chapters 13-20. Teachers will leave with an understanding of the Latin and English text as well as prepared materials. Bring a Caesar text and a laptop computer or a flash drive. For any and all questions or more information contact jmcrooker@aol.com. 2012-2013 is the first year of the new AP Latin. 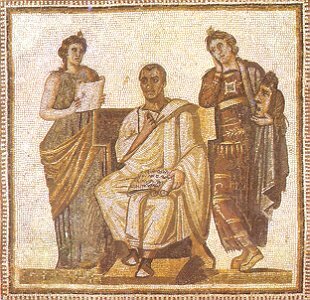 This workshop will give AP teachers the opportunity to read excerpts from the new lines of books 1, 2, 4, 6 of Vergil’s Aeneid, and some of the text from Caesar’s De Bello Gallico. Special attention will be given to the Curriculum Framework and the instructional strategies for themes and contextualization in the new course. Time will be spent preparing materials for literal translation, writing comparative essays, and integrating short answer questions into instruction. Participants are encouraged to bring a laptop computer or a flash drive. For any and all questions or more information contact jmcrooker@aol.com. • Lectures on the historical, cultural, political environment will be given by Prof. Banchich and Williams. • There will be preparation (for class use) of discussion topics and themes. • We will develop comparative essays and templates, spot questions and strategies for literal translation. Must have 5 participants to be offered. Saturdays, 9 a.m. - 1:00 p.m.